Knowledge Cultures is a multidisciplinary journal that draws on the humanities and social sciences at the intersections of economics, philosophy, library science, international law, politics, cultural studies, literary studies, new technology studies, history, and education. The journal serves as a hothouse for research with a specific focus on how knowledge futures will help to define the shape of higher education in the twenty-first century. 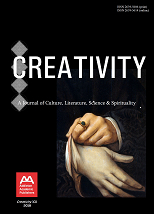 In particular, the journal is interested in general theoretical problems concerning information and knowledge production and exchange, including the globalization of higher education, the knowledge economy, the interface between publishing and academia, and the development of the intellectual commons with an accent on digital sustainability, commons-based production and exchange of information and culture, the development of learning and knowledge networks and emerging concepts of freedom, access and justice in the organization of knowledge production.